The National carrier, CTE Hyderabad on 16th Nov 2017 announced an invitation for applications by interested candidates for the post of Business Development Manager and Training Co-coordinators. Candidates can visit the official website cte.airindia.in to get the form. The last date to apply for the vacancies is December 4, 2017. There are a total of five vacancies, out of which one is for BD Manager whereas the other four are for Training Co-coordinators. The eligibility criteria for BD Managers are full masters in business administration with a specialization in Sales and Marketing or three years part-time Masters degree in business administration with a specialization in Sales and Marketing. The third education qualification a candidate can have is any postgraduate degree. For the post of Training Co-coordinators, a candidate should have a graduate in any field with a good knowledge of English, experience in crew scheduling and handling the training and licensing issues of Pilots and the necessary documentation and proficiency in DGCA CARs. The age limit for the vacancies set by Air India is 50 years. 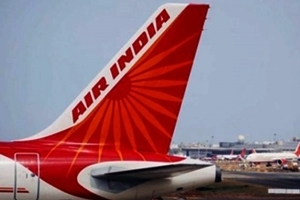 The application fee of the exam form is Rs 1,500 and should be remitted through Demand Draft (DD) in favour of Air India Limited, payable a Hyderabad. Notably, candidates those belong to Scheduled Caste (SC) and Scheduled Tribe (ST) are exempted from the application fee. The address to send the application along with other required documents is “Air India Ltd, Personnel Department, Central Training Establishment Ferozguda, Secundrabad- 500011.